La ingeniería de producto soluciones de vidrio hace referencia al proceso de diseño, selección de materiales y desarrollo industrial desde el prototipo hasta su fabricación, para obtener un producto apto para su comercialización. Por lo general se busca obtener un producto que resulte atractivo y competitivo en el segmento del mercado objetivo. De esta forma se aumentan las posibilidades de éxito del negocio para el fabricante de dicho producto. El vidrio, como componente del proyecto, debe cumplir con los requisitos de diseño y especificaciones técnicas requeridas y por lo general busca una continuidad de formas dentro del conjunto adaptándose a las geometrías de superficie del proyecto. Esta necesidad puede poner a prueba las capacidades técnicas de los fabricantes de vidrio de seguridad, que no siempre dan una respuesta satisfactoria a las necesidades del proyecto, muy especialmente cuando hablamos de vidrio templado curvado esférico. VIDURGLASS ha encontrado e implementado la solución definitiva a las necesidades de acristalamiento más complejas poniendo a disposición de la industria la más avanzada tecnología de curvado y templado de vidrio para obtener las curvaturas más complejas y con la mejor calidad. Los métodos tradicionales de curvado/templado en hornos verticales tienen un problema de precisión en cuanto a las tolerancias de curvado, así como un problema de aspecto ya que dejan marcas de pinzas (utilizadas para la sujeción vertical del vidrio) sobre uno de los cantos de la pieza. 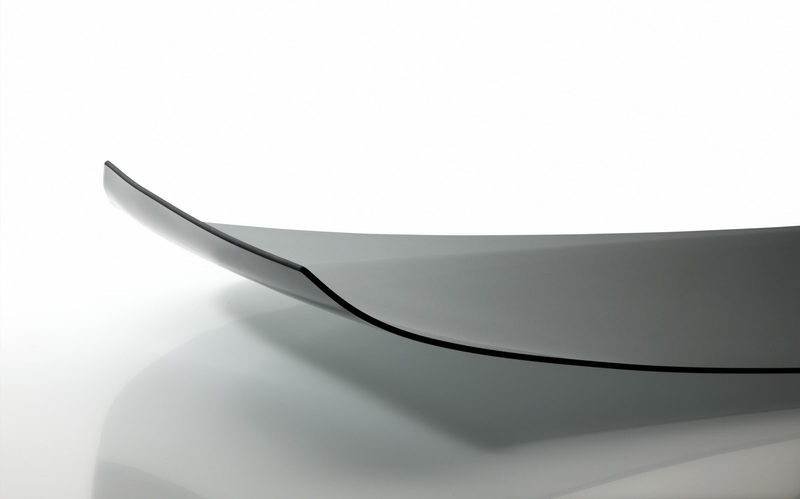 Gracias a la nueva tecnología de VIDURGLASS el proceso de curvado y templado se realiza en un horno horizontal de rodillos que permite obtener vidrio templado curvado con superficies esféricas o toroidales SIN MARCAS DE PINZAS. Este nuevo sistema permite obtener vidrio templado con curvaturas de muy diversos tipos como pueden ser: curvaturas esféricas en los ejes X, Y, Z, radios de curvatura compuestos y progresivos, curvaturas tipo J, radios cilíndricos inferiores a R1000mm, cúpulas, etc. 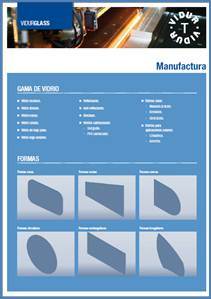 La precisión da fabricación de VIDURGLASS con este nuevo horno de curvado/templado permite ofrecer tolerancias de curvatura inferiores a +/-3mm gracias al conformado SIN MARCAS DE PINZAS. De este modo se consigue un acabado de pieza de alta precisión e inmejorable aspecto. 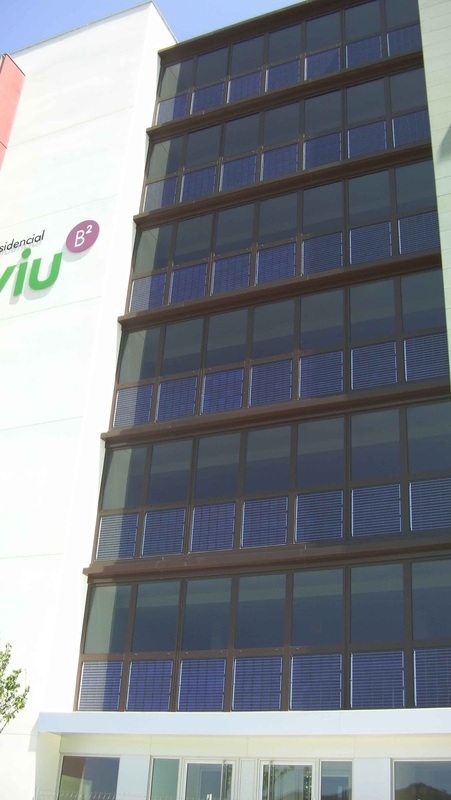 En función del tipo y profundidad de la curvatura del vidrio, el proceso de curvado se realizará con el utillaje de curvado más adecuado de acuerdo con el análisis técnico que VIDURGLASS realiza individualmente para cada proyecto. La verificación del ajuste de la curvatura del vidrio se verificará mediante el modelo o plantilla de comprobación correspondiente de la pieza. Todo ello con la calidad y seguridad que garantiza la marca VIDUR, así como el ajuste de curvatura más preciso. Existen múltiples aplicaciones que pueden beneficiarse de un vidrio curvado de este tipo como son: lunetas de vehículos, mamparas curvadas, vidrios para exposición de productos, acristalamientos curvados para la construcción de proyectos arquitectónicos, etc. The new social housing complex located in Gaudí-street in Igualada, North-East Spain, was built with a South elevation integrating VIDURSOLAR PV-glass modules. 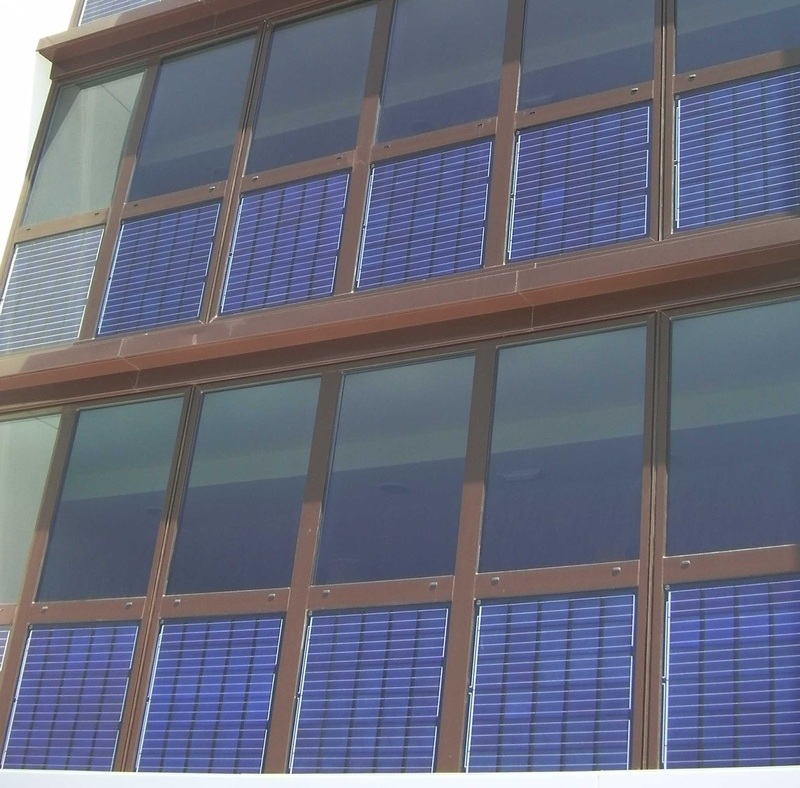 The 42 PV-elements are incorporated as parapets in the curtain wall and are built as insulating double glazing units. This project is part of a programme of sustainable building promoted by the city council of Igualada and has also to fulfill the requirements of the Spanish Technical Building Code for this type of buildings. In the design phase of the project, environmental and energetic sustainability of this new construction was one of the main aspects for drawing up the general specifications. So, the integration of renewable energy was seen as an important goal, but a big challenge seemed to be matching the renewable energy generation with an attractive architectural design. In order to achieve this objective, VIDURSOLAR PV-glass turned out to be the ideal construction element for building up this PV-façade. The composition of the PV-glass complies with the thermal insulation requirements of the site according to national construction norms. The PV-elements additionally include a grey sun-control glass in the interior, in order to match the colour of the rest of the glazing units of the façade and to bring down the solar factor of the glazed curtain wall in order to prevent the building from overheating. 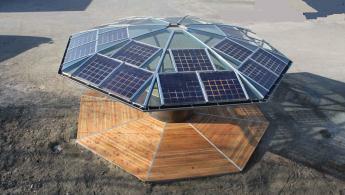 The electrical circuit is build up by 30 multi-crystalline PV-cells that offer a total of 107 Wp per glass unit. On the other hand, in order to comply with aesthetic requirements, an edge terminal connection system was used. So, the electrical terminals and the cabling are entirely hidden inside the aluminium support profile. It is important to state, that all safety norms for glass in construction has been complied with. 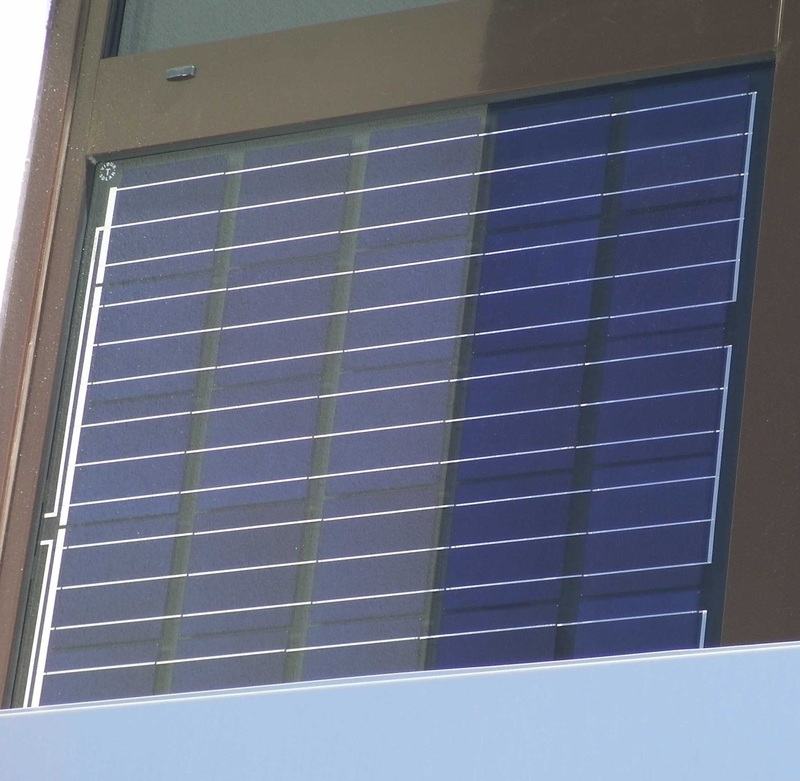 Additionally, since January 2011, VIDURSOLAR PV-glass modules count with an official certificate according to the norms IEC EN 61215 y IEC EN 61730 for a family of products. New trends based on aesthetics, increase the use of glass for industrial applications, thanks to the differentiation and customization possibilities that offers over other traditional elements like steel, wood, Perspex, plastic etc. 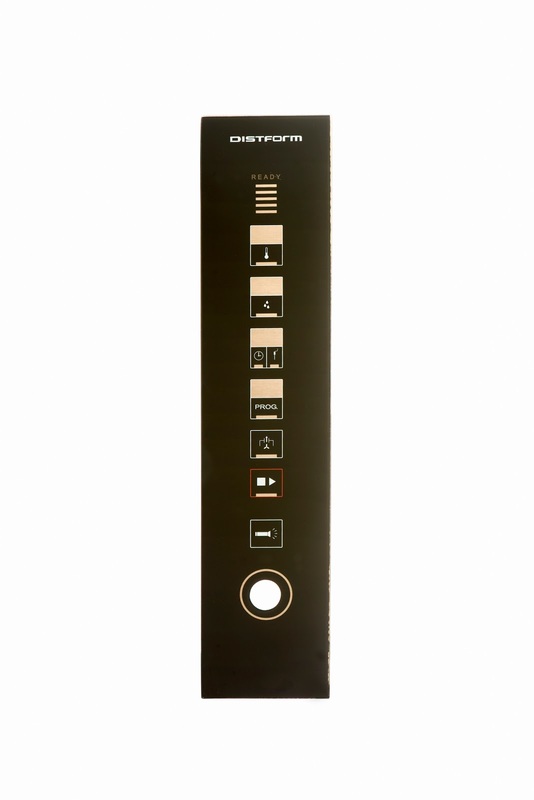 Thereby, intercoms, elevators, telephones and other electronic appliance change gradually their for glass which offers better personalization. Some of these electronic devices producers, in order to expand its potential market and offer more value to their products, include solutions to people with visual disabilities. There are three solutions to adapt electronic device to blind collective: audible, tactile and the combination of both. 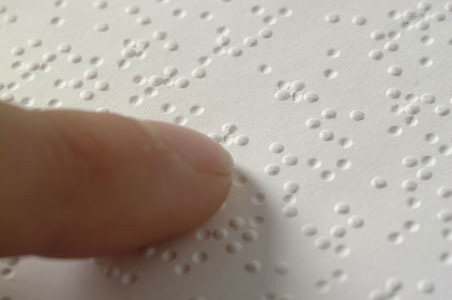 Tactile solutions are based on Braille, which is a tactile writing system used by blind and visually impaired people. This system is an alphabet represented by small rectangular blocks that contain tiny palpable bumps. The number and arrangement of these blocks distinguish one character from another (letters, number, punctuation, etc.). Usually in raw materials such wood, steel, plastic, perspex, etc. you should degrade raw material or you have to use adhesive films to obtain these tactile solutions. 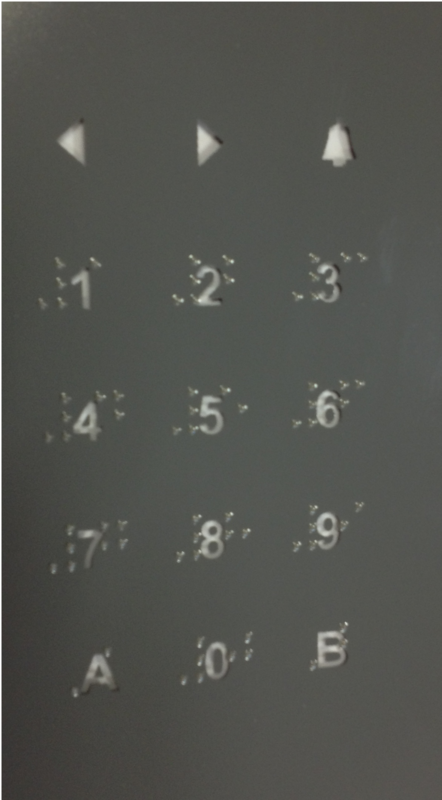 R&D Vidurglass department, has developed a technology that allows printing on the surface glass Braille alphabet, without the possibility to erase or remove. With this technology, appliance producers can adapt the increasing use of glass to the needs of the blind collective, without losing all aesthetic and safety characteristic that glass provides compared to other raw materials. A practical example of this new technology has been made ​​recently by an audio/video intercom producer, designed completely in glass. This product has also a tactile Braille solution, which allows it’s sale in France in spite of their heavy legislation about adapted products. We have achieved a vitrified paint glass of various colors and symbolism, which also have implemented Braille technology that allows the use of the intercom devices for blind and visually impaired people. Vidurglass develops an innovative system that ensures the most stringent regulations without affecting the other technical characteristics, aesthetic and decorative products for their customers. As from the eighties the weight of every new vehicle’s generation have been increasing between a 5% and a 10% in relation to the previous one. This increase is directly related mainly with the increase of the vehicle’s size, the % of glazed surface, the increase of insulating acoustics, and the increase of comfort and entertainment equipment. The technical innovation which have made possible the fuel’s consumption have seen their impact limited because of this continuos increase of the weight. An study of MIT shows that in the last 25 years the reduction of fuel’s consumption has been situated around 60% (in front of the real 15%) in the case of the vehicles had preserved their initial weight. the use of new materials and the evolution of the existing ones. 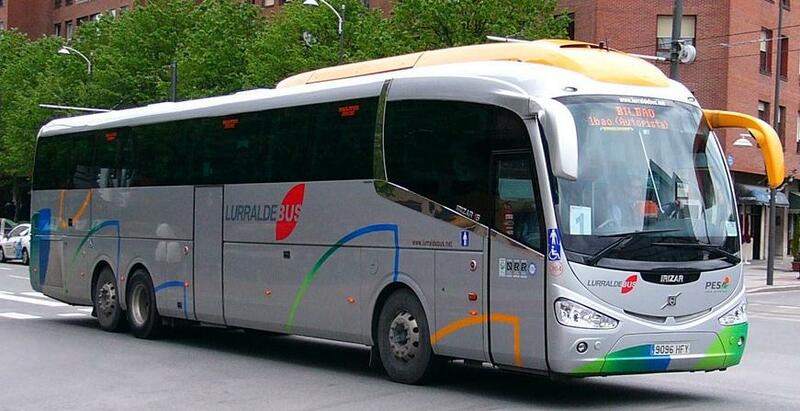 Concerning the vehicles of colective transport (buses and coaches mainly) the use of new software simulation tools have made possible the conception of chassis and racks which look for an aerodynamic improvement and the weight reduction of the total weight to reduce the CO2 emissions to satisfy the new Euro 6 regulation of imminent implementation. 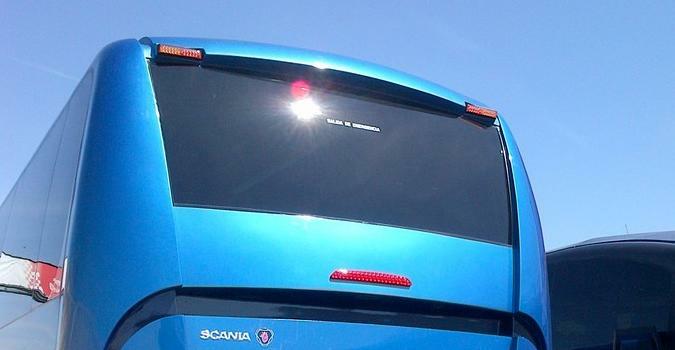 The glass applied to vehicles of colective transport has become strategic regarding design, visual comfort, acoustic, climatic and spatial perception, but especially important is his future contribution for the reduction of weight of the vehicles for the adequacy of buses and coaches for the Euro 6. 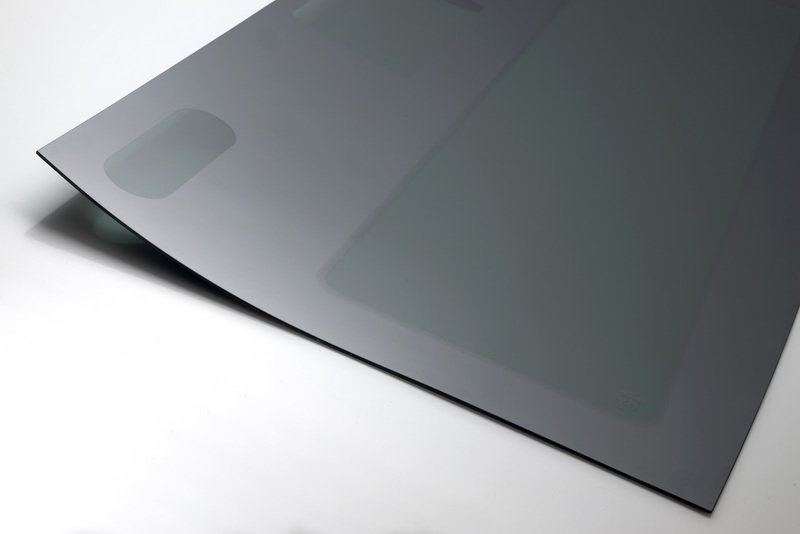 The Vidurglass’ proposal to their customers in this sense it happens by the gradual thickness’ decrease of the glasses and consequently the weight’s reduction of this component. 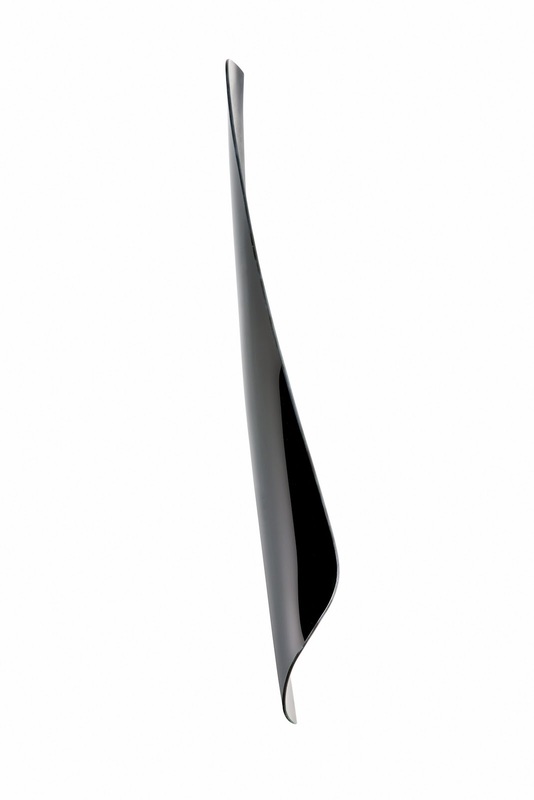 Over other competitors that have technical limitations for the correct glass manufacturing and toughened of 3 mm, Vidurglass works this thickness as standard way for any form and geometry ensuring his exact replication but also his planimetry with the absence of optical distortion and reaching the required NHV level (noise – harshness – vibrations). The thousands of vehicles of the main european bodyworks which have Vidurglass glasses of 3 mm since five years ago are our best warranty. 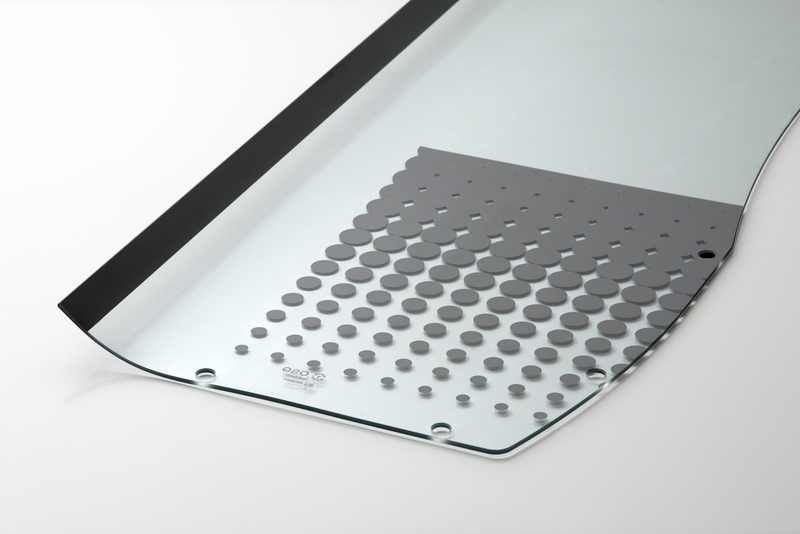 The weight improvement that is achieved by the substitution of glasses of 4 mm for glasses of 3 mm, Vidurglass supposes a reduction of between 70 and 100 kg per vehicle. The Vidurglass I&D department is now working on supply to the colective transport with glazed solutions of 2 mm, one more time moving forward the rest of the market. Desde los años 80 el peso de cada nueva generación de vehículos ha ido aumentando entre un 5% y un 10% en relación a la precedente, este incremento está directamente relacionado principalmente con el aumento del tamaño de los vehículos, el % de superficie acristalada, la multiplicación de aislantes acústicos y el incremento de equipamientos de confort y de entretenimiento. 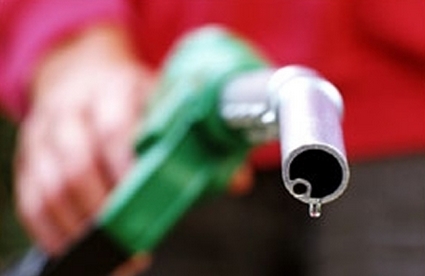 Las innovaciones técnicas que han permitido reducir el consumo de carburante han visto limitado su impacto por este aumento continuo de peso. Un estudio del MIT, muestra que en los últimos veinticinco años la reducción del consumo de carburante se habría situado alrededor del 60% (frente al 15% real) en el caso de que los vehículos hubieran conservado su peso inicial. el empleo de nuevos materiales y la evolución de los existentes. En lo referente a vehículos de transporte colectivo (autobuses y autocares principalmente) el uso de nuevas herramientas informáticas de simulación ha hecho posible la concepción de chasis y bastidores que persiguen una mejora aerodinámica junto con una reducción del peso global en aras de una disminución de emisiones de CO2 para cumplir con las nuevas normas Euro6 de inminente aplicación. El vidrio aplicado a vehículos de transporte colectivo, se ha convertido en estratégico en cuanto a diseño, confort visual, acústico, climático y de percepción espacial, pero especialmente importante es su futura contribución a la reducción de peso de los vehículos para la adecuación de los autobuses y autocares a la Euro6. La propuesta de Vidurglass a sus clientes en este sentido pasa por la paulatina disminución del espesor de los vidrios y consecuentemente la reducción del peso de este componente. 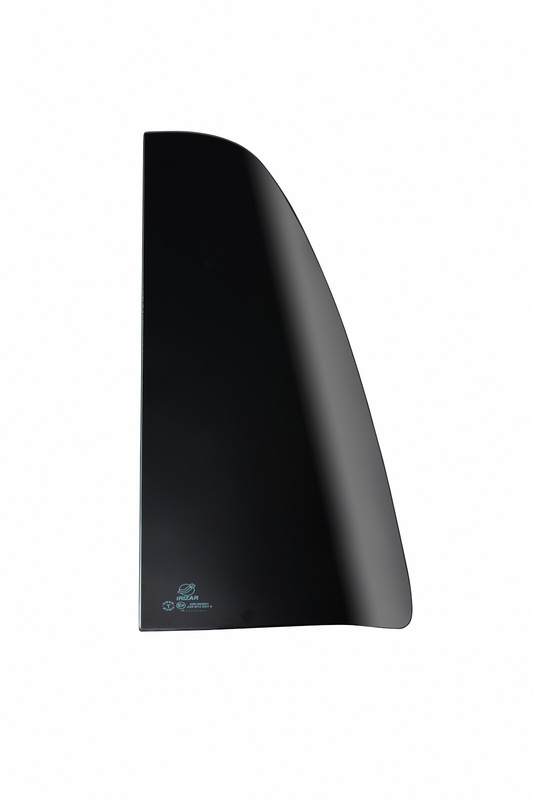 Frente a otros competidores que tienen limitaciones técnicas para la correcta manufactura y templado del vidrio de 3 mm, Vidurglass trabaja este espesor de forma estándar para cualquier forma y geométrica garantizando, además de su exacta replicabilidad, su planimetría junto con la ausencia de distorsión óptica y alcanzando el nivel de NHV (noise – harshness - vibrations) requerido. Los miles de vehículos de los principales carroceros europeos que equipan lunas Vidurglass de 3 mm desde hace un lustro son nuestra mejor garantía. 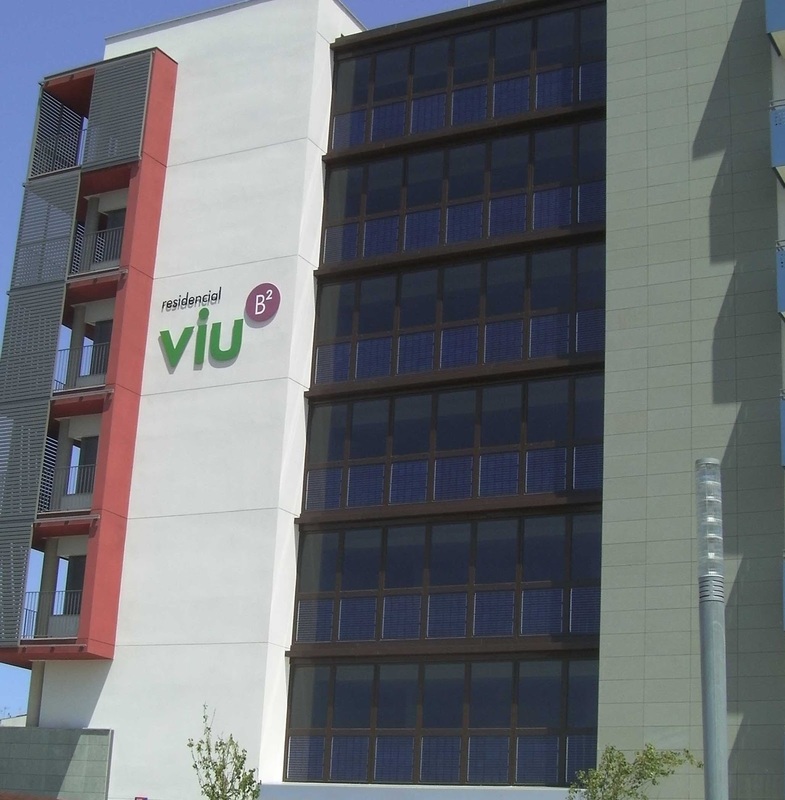 La mejora de peso que se consigue de la substitución de vidrios de 4 mm por vidrios de 3 mm Vidurglass supone una reducción de entre 70 y 100 kg por vehículo. El area de I&D de Vidurglass está ya trabajando en poder suministrar al transporte colectivo soluciones de acristamiento de 2 mm, una vez más avanzandose al resto del mercado.